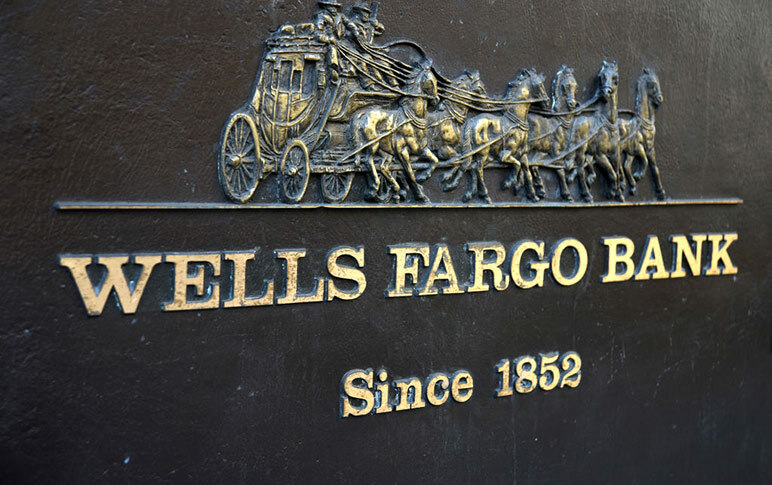 Broker attrition and falling markets shadowed Wells Fargo Advisors during the fourth quarter, as its net broker count fell by more than 100 over the last three months of 2018 and client assets plummeted by $100 million. Wells Advisors ended 2018 with 13,968 retail brokers, its parent company said in reporting earnings on Tuesday, 576 fewer than 12 months earlier and off by 106 from the end of the third quarter. Client assets held at the firm’s three brokerage channels fell by 10% from a year earlier and by 9% from the end of the third quarter to $1.7 trillion, the company said. Wells Fargo Advisors has lost 914 retail brokers net since the end of 2016. Brokers have been leaving since the parent bank company began disclosing investigations of fake bank accounts and loans its employees had set up as they strove to meet production quotas. The brokerage unit has been incentivizing headhunters with a higher fee for successful recruiting by paying recruiters 10% of the revenue produced in the previous 12 months by successfully placed brokers. Wells Fargo Advisors recently extended the offer that was scheduled to have expired at the end of 2018. Total advisor attrition in the fourth quarter represented .75% of the advisor force, the lowest exit numbers of 2018, said Kim Yurkovich a spokeswoman at Wells Fargo Advisors. She also repeated the company’s previous assertions that advisors being hired are stronger producers than those leaving. Customer money in fee-based advisory accounts, which Wells and its rivals have been promoting, was off 11% at the end of the year from three months earlier, and down 8% from last year’s fourth quarter, at $501 billion. Total client assets of $1.5 trillion at yearend 2018 was down 10% from the end of 2017 and 9% from the end of the third quarter. Plummeting U.S. stocks have battered fee-based revenue at many wealth management firms, but since Wells priced its brokerage advisory accounts at the beginning of the quarter—reflecting Sept. 30 market valuations—first-quarter 2019 fees are likely to reflect the market decline. Wells does not break out revenue and net income for its brokerage unit, but indicated that revenue dropped broadly across its wealth and investment management division that includes Wells Advisors, its private bank, its retirement and asset management businesses and its Abbot Downing family office. Revenue decreased 9%, or $376 million, from the fourth quarter of 2017 on lower brokerage transaction commissions, lower net interest income and the lower asset-based fees. Much of the revenue decline reflected lower returns from investments for the unit’s deferred compensation plans, Wells said. In a sign of its reduced sales force and compensation numbers, the drop in investment results for the deferred plan was offset by lower employee benefit expense, Wells said. Net income in the wealth division, the smallest of Wells’ three principal business units, fell 6%, from the third quarter of 2018 but was up 2% from the 2017 fourth quarter, primarily because of lower tax rates, the company said. Assets in individual retirement accounts at year-end were $373 billion, down 9% from the the end of 2017, while institutional retirement plan assets fell 8% to $364 billion. Retail brokerage assets of $1.5 trillion were also down 10% from a year earlier and advisory assets—which had been growing—were down 8% to $501 billion. Wells attributed the client asset declines in advisory and brokerage accounts to “net outflows” as well as to lower market valuations. Referrals between Wells’ wealth management and retail bank divisions, long a hallmark of the bank’s cross-marketing culture, fell 2% to $10.1 billion for all of 2018 from 2017. Client deposit balances in the wealth and investment management unit fell by 16% from a year earlier to $155.5 billion, but average loans for the fourth quarter of last year were 3% higher at $75.2 billion. Wells attributed the loan-balance increased to growth in large mortgage loans among wealth and investment management customers. Net income at the bank company as a whole fell 1% to $6.06 billion in the fourth quarter from the 2017 fourth quarter, but was up 1% for the year. Wells’ earnings per common share was up 4% to $1.22 from $1.17 during the quarter. Looks like Wells Fargo Advisors is headed down the same path as Sears. UBS too. One or both of those firms will be gone before I retire. WFC will probably blame the market decline on the decline in AUM—yet my AUM as well as that of many other FA’s that I know increased between 12/31/2017 and 12/31/2018. I do believe the Financial times article is correct–people do NOT want to have to explain to ‘anyone’ why they would ‘open an account of any type at WFC/WFA’. It is an interesting article and adds ‘meat’ to Michelle’s prediction and the ‘why’ WFA keeps losing FAs. Nearly every large securities firm has had its eyes blackened at some point. Remember when UBS had that rogue trader that lost over a billion dollars right under the firm’s nose? Morgan Stanley lost dozens of advisors when its rollout of 3D faired worse than the enrollment website for Obamacare. Merrill Lynch was bankrupt in 2008 before the Bank of America grabbed it by the collar and prevented it from going over the waterfall. Wells will recover from its own pratfall, just as the others have. Not before they lose 2000 advisors net. They’ll have less than 13k total advisors by year end. You will see. How does that Kool-Aid taste, David? Wells Fargo does not have a great brand name and the management prefers to take the approach of take the month and run either with bonuses and separation agreements or with the customers money. These problems didn’t just happen. They have been there for YEARS and still are. Companies that cheat their way to “great” have a problem to big to overcome. The issues are systemic and they are managing for the problem of the day. There is no vision because there is no one there to provide it. It is a firm run by custodians not leaders. It will take a major change at the top of the firm to bring any hope of crawling out of this morass. Exactly right. Like BoA, WF has no idea how to run a wealth management firm. Look at what BoA has done to ML! These problems have been going on for years with the approval of the Board who get to sit there and laugh at the money they are given without having to take any responsibility. Maxine Waters now attacking Wall St. banks. Don’t think WFC will be getting much love. Sure am happy that none of my clients own this POS stock.